Ratings Results of Interest: On Monday last week, FOX’s The Passage saw its ratings drop for a second week in a row as it posted a 0.9 score based on same day viewing for the 18-49 demographic with 3.9 million total viewers. That still has the show at passable levels, but it has almost no leeway for slippage through the rest of the season. Over on NBC, Manifest held steady at a 1.0 rating with 5.5 million total viewers and that one continues to be one of the strongest performers among the broadcast network shows in Live+7 delayed viewing gains. 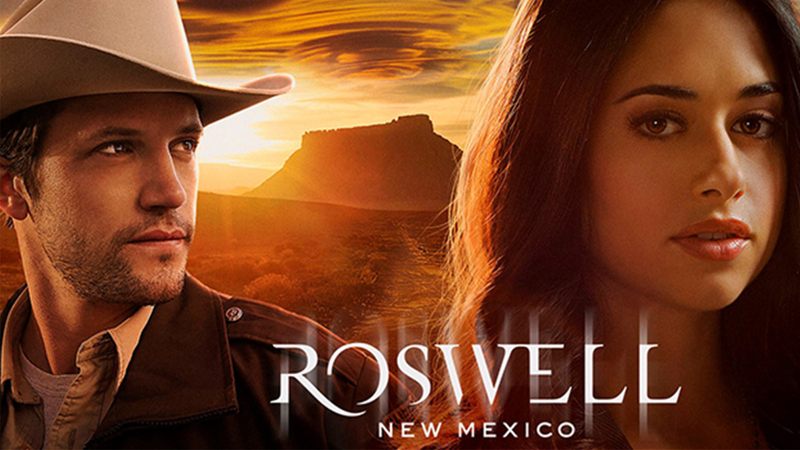 On Tuesday, The CW’s new series Roswell New Mexico slipped to a 0.3 rating with 1.3 million total viewers, but those are still acceptable numbers for that network and this show could be making up some of the slack with digital viewing. Over on the History Channel, Project Blue Book slipped to a 0.31 rating with 1.7 million total viewers, but those are still decent numbers for a basic cable series (especially the total viewers) and this one has been performing well in delayed viewing. On Wednesday, Syfy’s Deadly Class improved to a 0.15 rating with 435K total viewers. Those are acceptable numbers for that network these days and if it does not slip much more then it could get a second season nod. On Thursday, Freeform’s Siren slipped just a bit to a 0.21 rating with 529K total viewers, but those are still decent numbers for that network. Over on FOX, The Orville remained low at a 0.7 rating with 3.1 million total viewers, but that one has been seeing significant gains in Live+7 delayed viewing like it did in its first season. On Sunday, Starz’s Counterpart improved to a 0.07 rating with 235K total viewers despite no lead-in from Outlander and running up against the Super Bowl. I still count that one as On the Bubble, though. Disney’s Star Wars Resistance also saw and improvement that night posting a 0.07 rating with 310K total viewers. The Sunday broadcast network shows were in repeats or preempted. News Roundup: The TCAs are currently going on when the networks execs speak with the critics about their current and upcoming schedules, and that has led to plenty of news this past week. The CW delivered its annual blanket renewal of (most of) its Fall line-up which included all of its Arrow-verse shows as well as all of its genre entries. Netflix has cancelled its time travel series Travelers after three seasons. FX has announced that the upcoming third season of its X-Men linked series Legion will be the show’s last. That network has also placed a series order for the post-apocalyptic entry Y: The Last Man. Coming as no surprise, AMC has renewed The Walking Dead for a tenth season. And lastly, CBS has renewed God Friended Me for a second season. The TCAs will continue through this week and beyond, so expect more breaking news about sci fi and fantasy TV shows. Counterpart (Starz, Status – On the Bubble): This show has been well-received by critics but has yet to find much of an audience in the States. Its ratings were low in its first year, and it only survived to a second season because it was renewed in advance. This year it is barely registering in the ratings and I have to consider it very much On the Bubble. The show’s studio has international deals in place that could prop it up, but fans should probably stage a Call to Action on the social networks to give the show a boost. Deadly Class (Syfy, Status – Renewal Possible): This show got off to a strong start for a Syfy entry, but has slipped some in subsequent weeks. If it does not drop too much further, though, it could stick around for a second season. Gotham (FOX, Status – Final Season): The ratings have been on a downturn for this one the last few seasons, but FOX elected to bring it back for one more year to wrap up up the origin of Batman. Project Blue Book (History, Status – Renewal Possible): This show got off to a decent start for a cable series these days and has been able to hold on to its audience through the first few weeks of its first season. If it holds around current levels then it should be on target for a second season renewal.